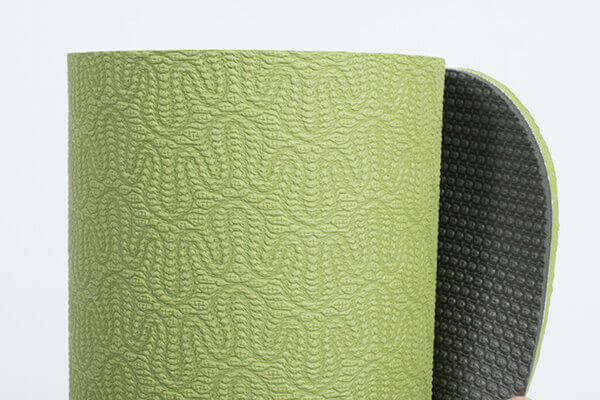 Lightweight, double-sided, cell structured Lotus Pro II mat. 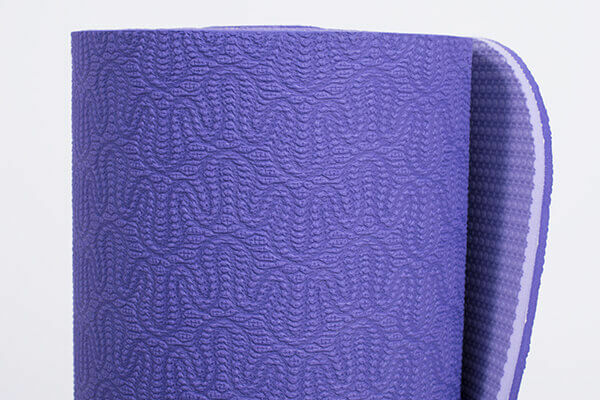 TPE foam is environmentally friendly, hygienic and 100% recyclable. The surface is comfortably soft, resilient and shock-absorbing. 6mm thick, but firm enough for standing postures. Excellent grip. Free of harmful dyes and chemicals, latex, rubber, pvc free so suitable for those with allergies. Suitable for yoga and pilates. 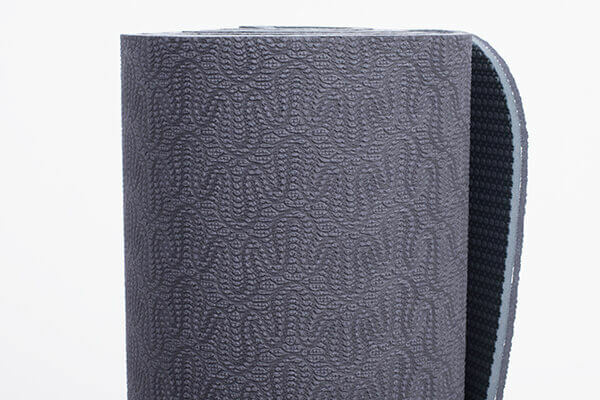 Weighing in at only 1.1kg, this is a lightweight mat and so easy to carry to and from your class. Why we love this - This is a great all-round mat. Great value, lightweight, looks great, is soft and has excellent grip. It's also 100% recyclable so it ticks the eco box with us too! The Lotus Pro mat is available on our Wholesale Yoga Pages where you can find some popular 'bulk buy' packages for teachers and studios. I am really pleased with the Lotus Pro yoga mat and City mat bag. The mat being 6mm is comfortable and provides good cushioning. The service provided by Nicola was excellent both in answering my queries and arranging delivery. Well done Yoga Bliss. Fantastic mat thank you! Three of us all bought one in Budleigh Salterton as our fellow yogies had already bought them and raved about them so we have definitely spread the good word in Budleigh!! I have recently started a yoga class and spent some time looking for a mat. I am very pleased with the Lotus Pro Yoga Mat, it is comfortable and non slip. I also like the fact that it is eco friendly. I also bought one for a friend and he is very impressed too. My order was despatched promptly and I was kept informed of the delivery date and time slot. Good customer service. 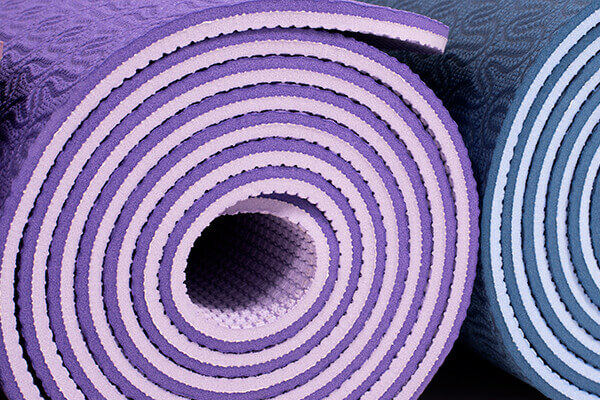 I purchased this yoga mat as I needed a new mat with good cushioning for yoga and pilates practice. It is a good mat at a reasonable price. It is soft and comfortable, giving great support for my knees. 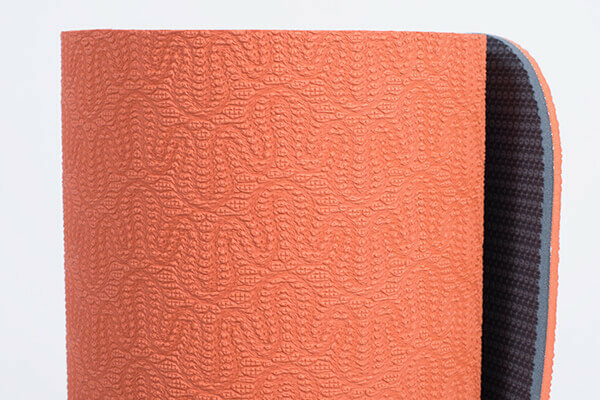 You can use the mat on either side and the colour is lovely. I felt that the lighter side had better grip. 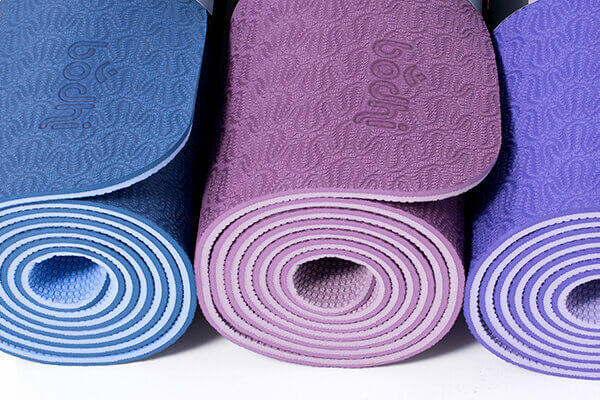 I would recommend this yoga mat for regular yoga practices and pilates. 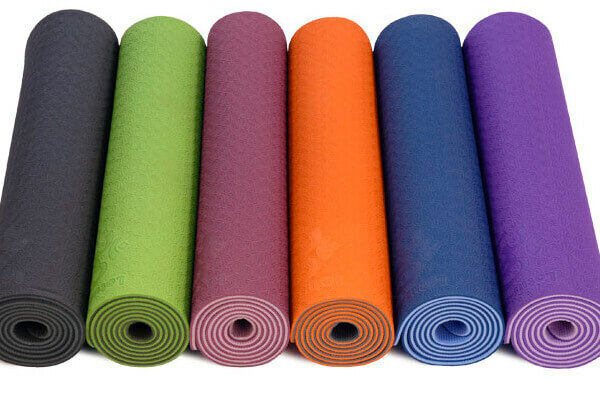 I would not recommend for hot yoga unless you are using a towel aswell as I feel that open cell mats are better for this purpose as they tend to be super grippy and absorbent. As this mat is not the absorbent type it is alot easier to clean and more hygienic. I also like that it doesn't contain pvc, rubber and harmful chemicals. I placed my order to be shipped abroad and found the process easy and delivery quick. Customer service was very helpful and prompt with my enquiry. I would definitely order from yogabliss again! 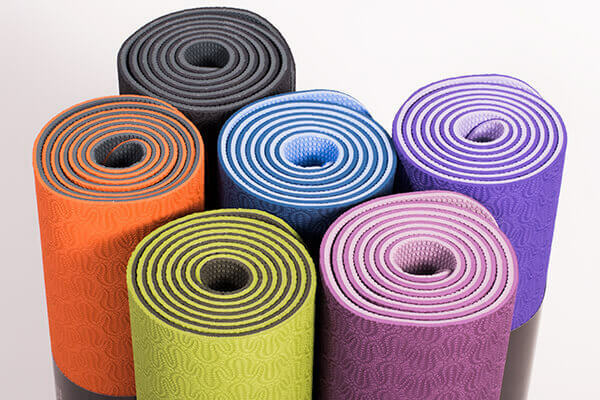 This yoga mat has been used in restorative, Hatha and yoga nidra. It is a comfortable mat. I purchased two from elsewhere before asking for advice from yoga bliss. The advice was excellent. I am a beginner and I will eventually progress to a thinner mat. Packaging was beautiful and thoughtful for the environment. I can’t wait to make more purchases from yoga bliss. I'm very satisfied with the mat; it is comfortable (particularly during kneeling positions) and does its job perfectly. Plus it's nice to know it's not full of chemicals or made with plastics. It was delivered very quickly, but one small thing I would say about the packaging is that I personally felt it was a shame it came wrapped in so much plastic, given it is an eco mat. I'd definitely purchase from this site again. This was a Christmas present for my husband. He has not used it yet but is happy with it and it will be well used. Loved how the order was beautifully wrapped and packaged, felt like a present to myself, and yoga mat is perfect. Order process easy, product arrived promptly. Pleased with the mat. 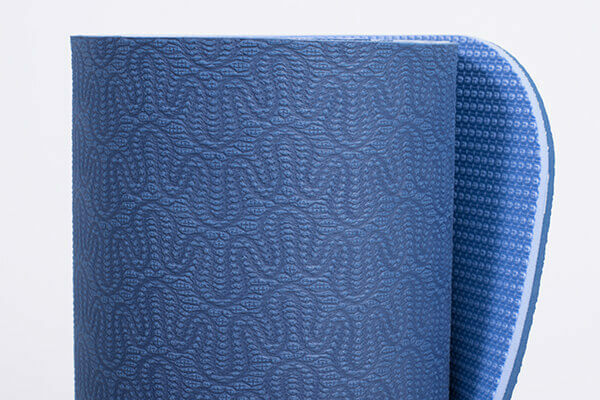 Soft, grippy and attractive. Parcel arrived next day even though I'd only booked standard delivery-lovely surprise. Great updates from courier too. Mat is so much better than my initial cheap purchase. I'm new to yoga but can tell the difference straight away-mat is very sticky so no chance of slipping and good thickness too, so very comfortable. Great mat - very sticky! I was given some money and splashed out on some yoga stuff that I would not normally have bought. I had an adequate mat before -an all purpose type that cost about £8.00. I decided to upgrade and am so glad I did. This mat is fantastic. It is thicker and definitely sticky for really good grip. I bought the grey one. It is not machine washable like some others but can be wiped clean. It has no smell which is great when your nose is often quite close to your mat! I would definitely recommend this mat - it feels that it will last a long time. Due to it being thicker, it is larger than my other one when rolled up but I also bought a yoga bag ( a Born Peaceful Lotus Flower one from yoga bliss) for my new buys so that's really not a problem. Everything about this transaction was superb, from the initial quick response to my enquiry through to the delivery of the mat next day. Extremely friendly and helpful advice from Nicola. Deliberated over getting this mat because it was expensive for me, but I love it! Fast delivery and a really great product. The mat is superb - I bought the 6mm as I use it outdoors on a natural stone patio which is "very textured". I now move with an all-over confidence instead of anticipating the event of discomfort from the surface I am on. The quality of this mat was so instantly apparent to me :o). Really pleased with my new mat....nice and thick and has a good grip. Very impressed with the service from Yogabliss. My mat arrived very quickly and it came beautifully wrapped in tissue paper, which was a lovely touch. Love this mat. Does what it says on the tin. Great grip and light too.